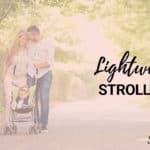 Parents who want a lightweight umbrella stroller must wait until their babies are old enough to sit up on their own because this type of stroller does not recline. This usually means waiting a bare minimum of six months! How many parents can do that? Not many; parents need a lightweight stroller they can use with younger infants. The good news is that the Maclaren Triumph solves this problem by having a 2-position recline feature so that babies as young as three months old can lie comfortably and safely with the included 5-point harness. It is one of the best umbrella strollers you can buy today. 1 What are the differences among the Triumph, the Volo and the Quest? 9 Where can I buy the Maclaren Triumph? What are the differences among the Triumph, the Volo and the Quest? 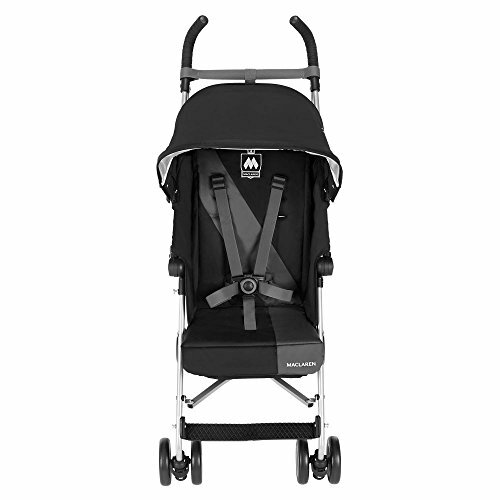 The reclining seat is the main feature difference between the Maclaren Triumph stroller and the similarly popular Volo, which has only one upright seat position. What about the Triumph and the Quest? 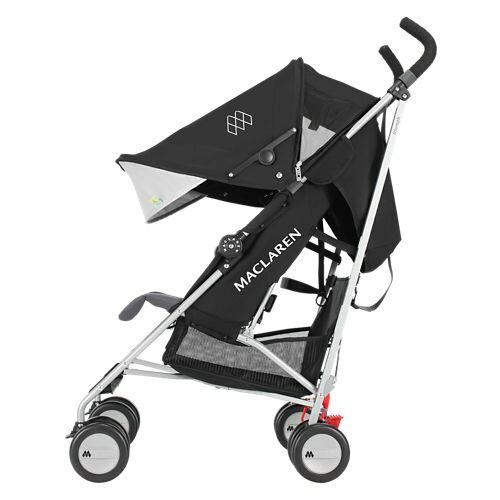 The Maclaren Quest Sport is one notch up from the Triumph and has an adjustable leg rest, 4-position reclining seat and a peek-a-boo window. The Maclaren Triumph stroller weighs in at 11 pounds, versus the 8.6 pound Volo. The Quest weighs just over 12 pounds. My the time you finish reading this review, you will have a thorough understanding of all the benefits the Maclaren Triumph can offer you. Let’s begin with the outstanding features. Parents rave about the durability of this stroller. 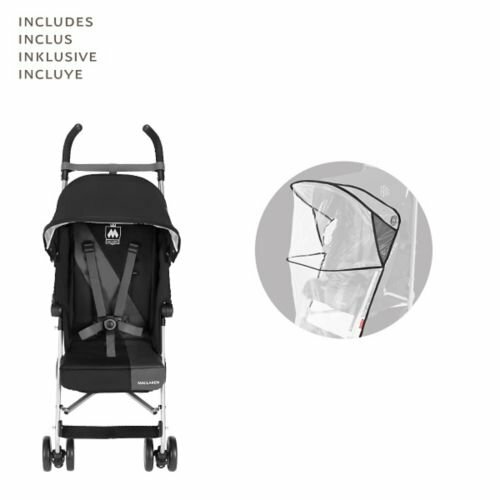 The lightweight performance aluminum framing has a weight limit up to 55 pounds, which is remarkable considering the fact that other umbrella strollers this size can only accommodate a child between 30 and 40 pounds. 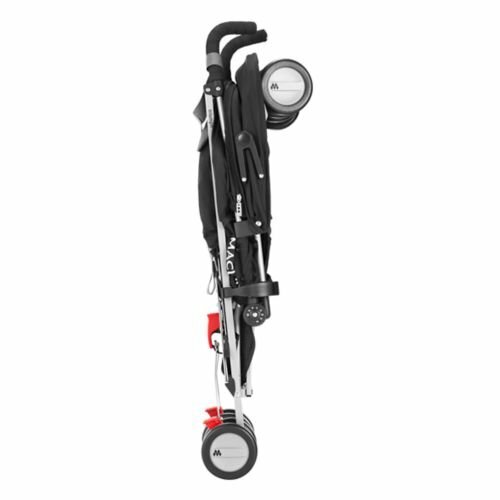 The smooth ride and maneuverability make this stroller a pleasure to take on long walks. 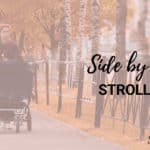 Since the front wheels have the option to lock into place, your stroller will have more stability on bumpier surfaces and the 5-inch wheels certainly help as well. 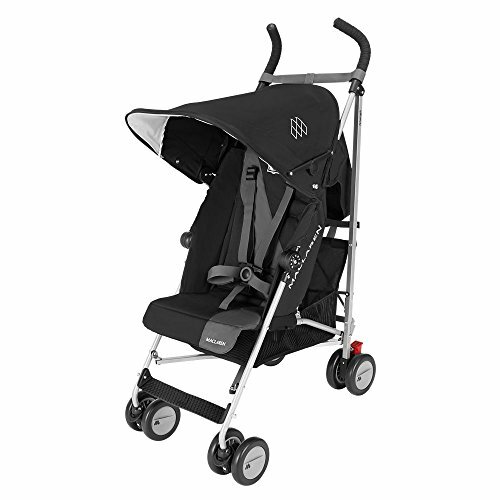 The obvious advantage to getting a Triumph over a Volo is that while you want a simple umbrella stroller, you would like the seat to recline for your child to rest comfortably. The seat has an adjustable strap recline system that provides multiple positions for your sleepy passenger. Because of this recline feature, babies as young as 3 months old can safely ride. If you feel you need some more padding, choose from dozens of different Maclaren seat liners to change and customize your Triumph’s look. They’re a lot of fun! While the Triumph can be a little tricky to fold the first time, and I’ve had to practice a few times and then folding became simple and quick. The one-hand fold can be done in a few seconds once you get the hang of it. The automatic lock on the side holds the folded frame in place and the built-in shoulder carry strap is very comfortable and provides you with easy transport. Maclaren has finally heard the loud voices of their customers saying they want a bigger canopy! The zip-away panel gives full coverage with mesh windows at the sides for air flow. The visor flips down for extra protection and ends up covering almost to your child’s lap. The sun canopy is both water-resistant and removable. This is a huge improvement and has my thumbs-up! Folded: 33½”H x 11.8″W x 30.11″DWidth: 19″Handle Height: 41″Seatback: 18″Seatback to Canopy: 28″Seat Width: 13″Open Length: 39½”Wheel size: 5″Stroller weight: 11 lbs. The storage basket underneath is large enough to carry the extras you need to take with you on your outing. I find that for an umbrella stroller, it is not too small, but you cannot access your things if the seat is reclined. You might be able to get some small items through the sides, however. If you need extra space to carry more stuff, I recommend the Maclaren Universal Organizer. It has a big storage pocket and two bottle holders. Tall parents who own a Maclaren Triumph love the comfortable ergonomic foam handles because they don’t have to stoop down, as they do with other strollers the same size and they don’t kick the back of the stroller while walking. I found it quite comfortable when I pushed it and I’m 5’7″ – just average height. A rain cover is included in case that outing has a few weather-related surprises! And if you’re strolling in the sunshine, the canopy tilts to help shade your child at various angles. I like the linked parking brakes; stepping down one time to engage the brakes and have my stroller come to a complete stop is effortless. Maclaren Triumph gets consistently high praise from parents. The Triumph receives the most positive feedback for its light weight and compact size once folded. The recline feature is a clear winner with this stroller and reviewers feel it is sufficient for napping babies, although they wish it could recline completely flat. It is a popular choice for traveling families going to theme parks where they have to get in and out of shuttles often, and also for families taking an airplane and don’t want to gate-check their stroller. Urban-dwelling parents taking public transportation will also find the Triumph a clear choice.Live in a busy city? Unexpected staircases and public transportation are no problem because you can fold it up and strap it over your shoulder! Consumer Reports rated the Triumph at 66%, and received very good marks for maneuverability and ease of use. It was rated “good” for safety. Some parents have been making the comparison between the Triumph and another highly rated umbrella stroller, the UPPABaby G-Luxe. Features are slightly different but they have the same price point and G-Luxe got an even higher Consumer Reports. The storage basket underneath is too small for many moms, who have to either purchase an extra storage accessory or carry their bags. Lots of parents like to take drinks with them, too and there are no parent cup holders, which most understand would conflict with the compact size of this stroller, but it’s a drawback for them. The parent organizer I mentioned earlier does have cup holders, though. Where can I buy the Maclaren Triumph? Just imagine the ease you will have in going about your errands with your little one!